Do the staff need better education about dementia in general, and in particular about how to communicate with people with language or other impairments, or do the staff simply need to ‘control’ the challenging behaviours that mostly come about as a result of poor care, feeling locked up, bored, disempowered or lonely and upset about living in aged care? For me, my poem on wandering, of which I have written many versions, says it all! If simple walking can be labelled wandering (like walking is a bad thing?) and managed with drugs or being restrained, then the whole system may well have it wrong. So, instead of writing a whole blog on this topic again, I am going to add the latest poem I have written on wandering. Most of the other challenging behaviours could be written about in the form of poetry, and I feel sure, with different education, most of these ‘behaviours of concern’ would simply disappear. Before a diagnosis of dementia, if I went walking, even if I was ‘wandering’ through a shopping centred for pleasure, it was still referred to as walking. Wandering along the beach with the sand between my toes, was still considered walking. When I go walking, even if I get lost, I am not a wanderer… I am a person. Sometimes people like to go for walks, even people with dementia. Sometimes people get lost, even people without dementia. Sometimes people walk because they are looking for something, even people with dementia. Sometimes people go walking because they are bored, even people with dementia. Sometimes people walk for exercise, even people with dementia. Before aged care, people were involved in habitual walking almost all the time… Walking to the kitchen to get a cup of tea, walking to the bathroom, walking to the shed, walking to the clothesline, walking to the shops… Living in aged care does not mean people with dementia wish to stop walking. Oddly, before a diagnosis of dementia, doctors tell us to get or keep fit, and that walking is one of the best exercises for us… Even more peculiar, is when we have dementia this must stop, and walking is then referred to as wandering, a challenging behaviour that needs managing. People with dementia are still ‘real’ people, living their lives just as they did before acquiring the label of dementia. 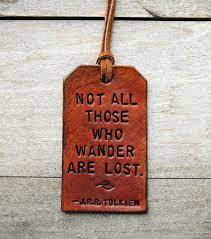 People with dementia are not wanderers, screamers, poor feeders, wetters, aggressives, or demented sufferers. People with dementia still wish to live well, but get very little or no support from others for well-being, or for improving our quality of life, including for walking. Walking is good for us, and fun, it is not a challenging behaviour. Who’s got the Challenging Behaviours? In my experience staff do not have an in depth knowledge about dementia (many staff source information in their own time and at their own expense ). Term such as “wandering” are used – I much prefer “purposeful walking” as it suggests that there is a reason why someone is doing this.Staff are not encouraged and/or do not have the time to to look at the person rather than the disease. The task orientated culture remains dominant . With this in mind I have a concern about the “new ” teams that are being developed in Australia that will go into residential homes to “sort out ” peoples behaviours. Once again the person with dementia is seen as a problem and their behaviour medicalised. I am hoping that this will not be the case but it remains to be seen. Agree with al you have said, ESPECIALLY ABOUT THE “TEAMS” being sent in to fix the person with dementia’s behaviours! As if it is all their fault, and usually NOTHING to do with how they feel about being in care, or how they are being treated… whilst we keep on the pathway of challenge behaviours, and BPSD, I believe nothing will change as it keeps it medicalised and non person centred through, in the first instance, the demeaning labels used to refer to people. Cried the whole way through. I try to walk with Mom every day. Meanwhile, The Home trains her to sit in her wheelchair with one of those safety pads and alarms. Whenever she wants to stand up, the alarm plays a sickening ring-tone-like version of You Are My Sunshine, and they make her sit down. I have come to hate the tune; it symbolizes so much of what it wrong. The challenge is that people in residential care are too often put into chairs or beds they cannot get out of, for the ease of ‘caring’ for them… which in my opinion, is just another form of RESTRAINT. It does not take long, for muscles to contract, feet to stop working, and the person then can no longer walk! It seems, that is their job done, but it is a gross misuse of restraint, and very poor care… we must keep speaking out about this. A prominent chap here, Norman Swan made a speech recently at a Better Practice conference, and he said he lived this type of ‘care’ is at best, criminal. I agree. I am 100% with you Kate and I’ve been fighting it since she’s been there, but unfortunately I don’t have legal control of her care. It breaks my heart in a million pieces. Do you have a link to his speech/presentation? ps. Not sure whose speech you are referring to here??? I wonder if you have a link to the Norman Swan Speech to which you referred: “A prominent chap here, Norman Swan made a speech recently at a Better Practice conference…” ? Fantastic post Kate and a very thought provoking poem! A powerful emotive poem, thank you Kate. Thanks Tracey… one of these days, walking will be encouraged, not ‘managed’ and stopped. Thanks Bronwen… and for commenting here. Where I worked at RSL care in the dementia wing it was a locked ward. Residence would often wander the halls. I don’t blame them as they only had a short distance they could go back and forth from. But we were allowed to take the residents out for a walk in the fresh air. Often in groups with 2 carers to keep an eye on things. They were able to get out with us carers and we would often stop to talk to the low care residents of the facility. At times we didn’t go far but every time upon returning to the dementia wing their spirits were lifted and they were more happier than before we left. Some didn’t like going out and would stay behind. I use to ask the ones that didn’t want to go to come up to the letterbox (front office) and get the mail. They would come with me. We’d only pick up a newspaper from the front office. But once they were out in the fresh air they loved it. The one’s that didn’t want to go out would often ask me can we go get the mail. We ended up with a regular routine. It always lifted their spirits. Very well said. I’m looking for a job in a place where they think this way. Brilliant… but get your searching pants on, as they are hard to find! Kate, you did it again. First, you make it so obvious that words and language can influence how we think, feel, act … against and for of others. Second, poetry is a wonderful way to express and deal with one’s feelings. I have self-published two volumes of poetry many of which are informed by Gregory and my journey through Alzheimer’s. When Gregory and I could no longer share language, I turned to my computer to help me process my experiences, frustrations, and emotions which led to beginning my blog. I find that often my processing expresses itself through poetry. Other people have said, and I repeat, the poetry writes me not me it! I have always seen the residents on Gregory’s floor and also Gregory as people first and Alzheimer’s just as the situation we are in. I have been able to live in their world as well as my own. I have been able to selectively “lie” about “B’s” daughter having called to say she loves her. Such joy she felt at such little costs to me! I have been able to participate in a business meeting to discuss with “J” what we should do about the furniture delivery. Such a sense or purpose for him and what he used to and think he still does. When “S,” sitting by the elevator, asks me when her son will arrive, I tell her I am not sure but I see if I can find out. Well, thankfully someone at her new place took the time to find out about this dear soul. For moxt of her 90 years, she had been a night nurse. On observation, she would go no farther than the other residents’ doorways, waych them for a bit, and move on to the next room. She never bothered anything, and never woke anyone up. But if interrupted, she became quite agitated. All she was doing was making her rounds, as she had done for so long. The staff decided to let her continue to make her rounds, watched her to make sure she didn’t get into trouble, and then put her back to bed. She never caused any more trouble, and was as happy as could be in her new home. Love your poem. But the whole thing about wandering brings to mind an occasion a few years ago when an old man in a neighbouring village went missing one day. Neighbours were out looking for him as were two police dog teams and the police helicopter. It made me feel grateful to live in a country that cared enough about doddery old men to put such effort into finding them. In the event, he was found. Yet we as a nation fail in so many other ways. I wish to God we cared more for each other. The answer is in community. You and me, together, caring for and looking after each other. I love your stuff Kate, don’t stop. Thanks for sharing here Peter… and for your support. As you say, if only we all cared more for each other. Being one who has gone for a walk and not return causing great grief and trauma to my wife,family,friends and police. Becoming very disorientated and confused, apparently I was found approximately 500 m from a major arterial road. Another time I went again for a walk and Sue found me about 3kms away even closer to a main highway. I now have to wear a GPS tracker so if I go for a walk again Sue can ring me and talk to me and the GPS tells her where I am located. How do I feel about this. Not happy but it becomes a safety issue. I agree with you it can be due to being inside for to long. You touched on several issues that are true and correct. Well written and informed as usual. Thanks Mick, and yes, I get lost too, and for now, can use my phone to call for help. To label us all as wanders though, that need managing as challenging behaviours, completely stigmatises us and ensures our human right to WALK is lost. I personally have no issues with GPS trackers, although many people do as feel they are also a breach of human rights, but safety must be considered as well as the stress of our families. I know I traumatise my dear husband by travelling alone still… but until I am unable to ask for help, then I will fight to retain that independence. Getting a GPS tracker, or wearing a safe return bracelet is fine, being labelled a wanderer just because we want to walk somewhere is not, IMHO.